Personalised Full Colour Photo Wooden Heart Jigsaw Puzzle. 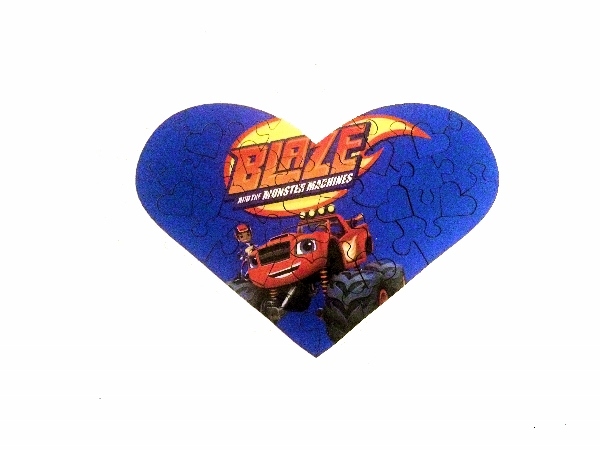 The puzzle has 32 pieces including 12 heart shaped pieces. It measures 25 x 17.5 cm. The puzzle has a high gloss finish. The puzzle comes in an A4 acetate cover.